Rockman Corner: What's Next For Mega Man? Oh he wants them, but he also wants other games like Lost Planet and stuff. He can only do so much at one time. What's he going to do, only Megaman games? He's biding his time for the right moment, and he does have a business side to his mind. He's got to consider what would be successful. If he was only making whims with no business sense, things would be a lot different, and probably for the worse. I have a feeling we'll be seeing MML3 a lot sooner than you might think. All I know is that we'll definitely be seeing more Mega Man goodness by the end of the year. Maybe not a release, but at least an announcement. How about the fans making some noise to express our hope for a new MM game? Well, it's not just a matter of wanting them, he needs the inspiration too. couldn't have said it better myself. After all, he's a producer for a reason. Does this mean they will finally get to work on ZX3/X9? Or are they planning to make Supah Rockman RPG XXVII, XXVIII & XXIX? @anon #3, ZX3 should let Inticreate do the job, and DS has already have so many Mega Man games, X9 should be made, but enough of X, they already make up to 8, like the classic, but already been released for 9 tho, but more importantly, Legends 3 should be made for 7th generation consoles, cuz it's underrated and should be more notable to anyone. Um...the DS has about...4, maybe 5 megaman games. And I'm counting each version of SF1, SF2, and SF3 one game(SF1D,P,L = 1 game, for example). It doesn't have THAT many... GBA had more. 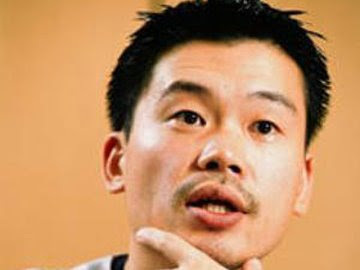 It`s not only a matter of "want", Inafune can`t do whatever he want, the money side of the industry is what matters. I beat he want ZX3 to happend but the sales is the real problem and the desire to develop the game. As much as I love it, the Rockman series is past its prime. By no means do I want it to end, but I can see why non-fans would want it to just end. i found this on wikipedia"According to a recent interview in Dorimaga, Inafune is currently working on a Wii game, although details about the game have yet to be revealed. However, Tim Ng of Capcom of America has stated that an additional entry in the Rockman X series is planned"
Did you bother to read the source referenced to Wiki's comment about a "new Wii game?" That was referring to Rockman 9, and was written in July 2008! However, the comment regarding a new installment in the Rockman X franchise is correct, and I've been telling you guys about it for a while. Anon#1's comment is accurate, regarding both a MML3 and a new X game - news will arrive as, like Rockman 9, projects such as those get closer to being finished. But I'd rather have MML3 first. All I can say is.... Whatever Rockman game they throw at us, we are always up for the challenge. Keep em' coming!